While this is not a post about technology in the classroom, it is a post about technology at home! Many people ask me what we do when I tell them that we cut our phone and cable bills. This is not an advertisement – it is simply a post for what our family did. There are many other great tools out there…these are just the ones that we use! Second, we got rid of our landline phone. This was a hard one for us. I wanted to use cell phones only, and my husband wanted a landline. Yet we both agreed that we didn’t like paying for a service we simply were not using. 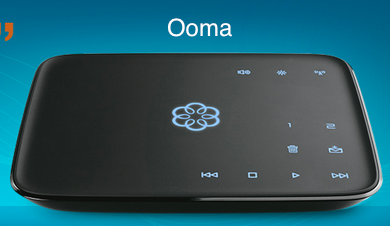 So, we purchased an Ooma. Simply plug one end into your high speed Internet, and one end into your phone. Click HERE to learn more. The unit does cost $149.99 for the initial unit, but this has definitely paid for itself. We have used it now for a few years. The voice quality is great. You do have to continue to pay for your Internet service and you will be billed for state and local taxes and surcharges (ours is about $6.50 a month). That is certainly cheaper than what we use to pay for our phone service. Finally, we saved by discontinuing our TV cable service. We wondered what life would be like without a regular TV but I am so happy we did! I don’t miss it at all. Not only do we have more time in the day (because we aren’t sitting in front of the TV! ), we can still watch all the shows we would want to watch on our own time schedule by using a Roku. Now, I must let you know that if you are a sports fan or enjoy watching the news, this may not be a good choice for you. We can only watch shows once they have aired. However, if I feel that I really need a news update, I can stream online to a local news station. Roku streams content through your high speed Internet to your TV or monitor. We do pay a $7.99 monthly fee for Hulu Plus but that is certainly cheaper than our cable bill. ← In It to End It!